The Calidore String Quartet (Jeffrey Myers and Ryan Meehan, violins, Jeremy Berry, viola, and Estelle Choi, cello) made a name for themselves in 2016 by winning the $100,000 Grand Prize in the inaugural M-Prize International Chamber Music Competition, the world’s largest chamber music prize. More recently, they were awarded the 2018 Avery Fisher Career Grant. During the upcoming season they will complete their three-year residency with the Chamber Music Society of Lincoln Center. They took time in August for an email Q&A in advance of their Mooredale Concerts recital of their “Music and Conflict” program in Walter Hall, on September 30. WN: Please tell us about when and where the Calidore String Quartet began. CSQ: We met at the Colburn School in Los Angeles where we were completing our music studies. Estelle and Jeff had been in a different quartet and we were looking to continue working together. Jeremy on viola was the next addition followed shortly by Ryan on second violin. The quartet officially formed in 2010. How was your “Music and Conflict” program conceived? Given the chaotic and uncertain world that we live in, we wanted to find guidance in the music that we spend our lives studying and performing. How did the great artists in our field take conflict and channel it creatively? How did they make their voice heard? Taking the Mendelssohn Op.80 as the anchor piece of the [new] album, we then began building the program by looking at composers who faced different challenges throughout their lives. This led to the addition of Prokofiev’s Second String Quartet, Janáček’s “Kreutzer,” and finally Golijov’s Tenebrae. What is your approach for each of the four works on that program? We tried to learn as much as we could about the circumstances each of the composers faced that led to them to write the works. Where were they in their lives, both physically and mentally? How did they resolve the cacophony around them? In the Prokofiev, the composer was evacuated due to the Nazi invasion of Moscow, so this displacement must have left him feeling homesick and unsure of the future. Despite all of this he wrote a piece drawing on the folk music that surrounded him and produced a piece that evokes a sense of pride and an optimism for the days ahead. Prokofiev also conveys a wistfulness in the second movement, perhaps recalling better days. While Prokofiev faced an external war, Janáček battled a personal struggle in his marriage. It is no wonder he felt that Leo Tolstoy’s novella, The Kreutzer Sonata, spoke to his own situation of being locked in a loveless marriage. In the novella, a husband becomes increasingly mad from jealousy. His pianist wife has begun learning Beethoven’s “Kreutzer” violin and piano sonata with a dashing violinist. He arrives home late at night to find the two of them conversing intimately. This drives the husband to kill his wife out of madness. In this piece, we become actors, playing all the different roles from the married couple to the new violinist and even including the husband’s growing insanity. This string quartet requires a playing style that is very physical and aggressive while also being able to sing with lyricism and tenderness. It is a visceral experience that Janáček has created, so it is important to highlight the physicality of the work. From the brutality of the Janáček, we felt a sense of calm was needed to balance the tumultuous story of Tolstoy. Golijov’s Tenebrae acts as the fulcrum to the album. It takes the quiet serenity of the cosmos, and intersperses it with the chaos and conflict of the Middle East, drawn from the composer’s experiences closely tied to each. The experience of seeing the world as a tiny blue dot at the planetarium contrasted with the devastating violence in Israel and led Golijov to write this piece that brings light to a world often shrouded in darkness. Finally, the Mendelssohn Op.80 string quartet closes the album. This work is a sharp contrast to all of his others and was written towards the end of the composer’s short life. Having lost his sister unexpectedly, Mendelssohn was swimming in grief, unable to write music from the sheer weight of the tragedy. In an attempt to elevate himself from the loss, he took to composing to channel the hurt, frustration and anger of the departure of his family member and dearest friend. The nostalgia of the slow movement evokes the tenderness of their relationship which launches the listener back to the turmoil of his mourning in the fourth and final movement. 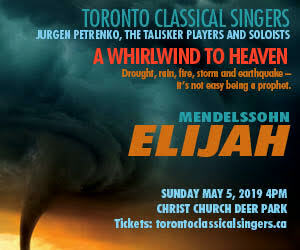 Even in his darkest days, Mendelssohn gave the world an outlet to help both himself and the audience to cope and rise above the difficulties of life. How did your relationship with the Emerson Quartet come about? How important was it to your development as a quartet? Our relationship with the Emerson Quartet first began when we first played for David Finckel in 2012 at the Aspen Music Festival and School. We simply approached him and asked if he would have any extra time to hear us. He graciously took time out of his busy schedule to coach us on our repertoire for a few upcoming competitions. We kept in contact over the next few years and as our time studying at the Colburn School came to an end we were looking for possible residency programs for which to apply. At this point David recommended us for an opportunity to work with the Emerson at Stony Brook University. We were incredibly fortunate to get to study with the Emerson String Quartet for the next two years. The Emerson Quartet has played an instrumental role in the development of our quartet. Not only have they provided us with profound musical insight, but they have offered us advice on everything that makes the life in a string quartet work. Toronto Symphony Orchestra. The TSO’s post-Oundjian journey begins in earnest September 20 to 22 with interim artistic director Sir Andrew Davis conducting. The program brackets Jacques Hétu’s Variations concertantes with Berlioz’s rarely heard Fantasy on Shakespeare’s The Tempest from Lelio, or The Return to Life and his Symphonie fantastique, one of the cornerstones of the orchestral repertoire. The parade of guest conductors begins on September 26 and 29 with the TSO debut of Ukrainian conductor Kirill Karabits, the chief conductor of the Bournemouth Symphony Orchestra. The program includes Karabits’ countryman Valentin Silvestrov’s Serenade for String Orchestra, Rachmaninoff’s Symphony No.3, and charismatic Scottish violinist Nicola Benedetti as the soloist in Prokofiev’s Violin Concerto No.2 with its lovely middle movement. The ever-popular Mahler Symphony No.5 is coupled with Ravel’s jazz-tinged Piano Concerto in G on October 3 and 4. Spanish pianist Javier Perianes is the soloist; artistic leader and chief conductor of the Trondheim Symfoniorkester, South Korean-native Han-Na Chang makes her TSO debut. Royal Conservatory (RCM): The Academy of St Martin in the Fields Chamber Ensemble get the RCM-Koerner Hall regular season underway on October 3, with music by Nielsen, Françaix (his Octet for clarinet, bassoon, horn and string quintet) and Beethoven (his celebrated Septet for clarinet, bassoon, horn, violin, viola, cello and bass). Worth hearing alone for the distinctive timbre the unusual instrumentation produces. When Yannick Nézet-Séguin and his Orchestre Métropolitain made their exciting Koerner Hall debut in April 2015, they brought the cello phenom Stéphane Tétrault; for their return visit, October 5, to augment a program that includes Sibelius’ Symphony No.1 and Nicolas Gilbert’s Avril, it’s the well-established pianist Nicholas Angelich who will be the soloist in Rachmaninoff’s first work composed after leaving Russia for good, the Piano Concerto No.4. Music in the Afternoon. Francis Poulenc’s invigorating, amusing, noble and otherworldly Trio for Oboe, Bassoon and Piano is the best-known example of music written for this unusual combination of instruments. No double reed player can resist its charms, so it’s no wonder that the Poulenc Trio (pianist Irina Kaplan Lande, bassoonist Bryan Young and oboist James Austin Smith) named themselves for its composer. They launch the 121st season of the Women’s Musical Club on October 4 in Walter Hall, with a modernist program of music by Schnittke, Viet Cuong, Shostakovich, Previn and their namesake (whose famous trio they will perform) should enliven the first afternoon of the new month. Summer continues. It’s still summer for the Prince Edward County Chamber Music Festival. Artistic directors, the enterprising New Orford String Quartet, open this year’s edition on September 7 with Mozart’s “Dissonance” quartet along works by Burge and Ravel. André Laplante’s ambitious program on September 9 includes Schubert’s delightful Sonata in A Major D664 and a significant Liszt component: Three Sonetti del Petrarca, from Années de pèlerinage, deuxième année: Italie and his revolutionary masterpiece, the Sonata in B Minor. September 15 violinist Mark Fewer heads a jazz evening heavy on Ellington, with pianist David Braid and bassist Joseph Phillips. The next afternoon it’s Fewer with his classical pals doing a variety of chamber music headed by Dvořák’s Piano Quintet Op.81. SEP 20, 8PM: Brampton-native Jarred Dunn, a former assistant to, and collaborator with, the well-known author, pianist and teacher David Dubal, performs works by Szymanowski, Debussy, Górecki, Liszt and Chopin in his recital at Gallery 345. SEP 23, 2PM & SEP 29, 2PM: Pocket Concerts launches their sixth season of chamber music in an intimate setting with Montreal-based violinist, Andrea Tyniec and Pocket Concerts co-director pianist Emily Rho in music by Beethoven, Sokolović and Debussy. In his Strings Attached column in our Summer 2016 issue, Terry Robbins praised Tyniec’s faultless technique and outstanding musicianship. SEP 27, 7:30PM: Gallery 345 presents Payadora Tango Ensemble-member, Rebekah Wolkstein, performing music from Norway on the nine-string Hardanger fiddle. Tom King is the collaborative pianist. OCT 2, 8PM: Marc-André Hamelin’s virtuoso program for Music Toronto’s new season continues his current examination of Samuel Feinberg with the Russian pianist-composer’s Sonata No.3, Op.3 and showcases old favourites like Alexis Weissenberg’s charming Six Arrangements of Songs Sung by Charles Trenet. Busoni’s arrangement of Bach’s famous Chaconne and Mario Castelnuovo-Tedesco’s Cypresses bring out Hamelin’s astonishing technique, which of course also supports the Chopin Polonaise-Fantaisie and Scherzo No.4 that conclude the recital. A protégé of legendary lyricist Oscar Hammerstein and student of serialist composer and electronic music trailblazer Milton Babbitt, Stephen Sondheim is equally famous as a lyricist and tunesmith. Midway through the first decade of the 21st century, American pianist Anthony de Mare acted on his lifelong immersion in Sondheim’s work and commissioned a wide net of composers from multiple genres to create their own “re-imaginings” of a favourite Sondheim song for solo piano. By the time the Liaisons project was completed in 2014, 36 composers (31 men and five women; 32 of whom were American-born) had contributed and de Mare’s love affair with Sondheim’s music had borne a bountiful harvest. The lone Canadian contribution, Rodney Sharman’s Notes on “Beautiful,” written in the Valentine Studio, Leighton Arts Colony, Banff, Alberta, “is a transformation of the duet between mother and son, Beautiful, from Sunday in the Park with George, and dedicated to Anthony de Mare and the memory of my mother.” Sharman’s piece is one of 14 de Mare will be performing in Mazzoleni Hall on May 24 as part of the 21C Music Festival. A second concert, the following evening in Temerty Theatre, contains ten additional works concluding with a reprise of Reich’s Finishing the Hat. WN: How does it feel, as a lifelong fan of Stephen Sondheim’s music, to play a dozen or two of the Liaisons transcriptions in an evening? AdM: It is always an exhilarating experience for me to perform these works, no matter how many are included on each program. And because I’m so enamoured with the entire canon of Sondheim’s work, there are just so many of his shows in addition to dozens and dozens of his songs that I love so much. He has often said that Sunday in the Park with George is the show “closest to his heart” and I would say that has [also] always been one of my favourites. And I would just add that for myself, the more I work and live with this material, the more I learn – it has become a body of work that I hold very close to my own heart and it is an honour to be able to share it with the world now. The flexibility of the project allows me to create programs based on what each individual presenter desires coupled with my own instincts and choices. Some presenters have had me perform two to three concerts as a series covering a vast portion of the collection. However, selecting the program content is very important to me, as is its shape. I actually consider the entire program (and its sequencing) to be its own “piece,” carefully assembled to guide the listener on a journey through these fascinating works. Each piece is very much a marriage between the composer’s individual style and Sondheim’s original material. Add to this the inclusion often of audio and video clips of the composers speaking about their relationship to Mr. Sondheim and his work, in addition to the short film of Sondheim himself speaking (extracted from the interviews that were part of the Liaisons premiere concerts at Symphony Space here in NYC). Audiences have often commented favourably on how satisfying the entire experience is for them. What was the first Sondheim song you fell in love with? What did it mean to you? The first Sondheim song I encountered was the iconic Send in the Clowns from A Little Night Music. The first recording I heard of it was Judy Collins’ classic version back when I was in high school in the 1970s. I was so enamored with the shape of the melody, the beautiful sequence of harmonies, the eloquent lyrics, and of course her gentle interpretation, which made it memorable. What is the first Sondheim song you remember hearing? How old were you? Along with Send in the Clowns, there was Comedy Tonight from A Funny Thing Happened on the Way to the Forum. Shortly thereafter, I began listening over and over to the original cast recording of Company – the opening song of which became an immediate favourite, along with Another Hundred People. Again, this was around junior high and high school. What prompted you to embark on such an ambitious project of commissioning piano re-imaginings of Sondheim songs? What was the genesis of the project? This massive project was the culmination of a series of musical endeavours that I had created in years past. I have long been referred to as one of the leading exponents of contemporary music and my love of musical theatre has played a distinctive role in establishing myself as the “pioneer” of the speaking/singing pianist genre which I created in the late 1980s, commissioning a variety of composers to create specific theatrical works that I would perform solo at the piano. This in turn led to a large multimedia concert project I created titled “Playing with MySelf” – which involved a wide variety of contemporary works, video, projections, lighting, set design, costumes, etc. – which had a successful run here in NYC and abroad. My love for Stephen Sondheim’s work dates back to my teenage years, having discovered such shows as A Little Night Music, Company, Follies and Pacific Overtures – which led to an obsessive immersion into his work, especially each time one of his new shows appeared on the theatre scene. I had always wondered what his amazing songs would sound like transcribed as legitimate piano works, much in the same vein as what pianists like Earl Wild had accomplished with Gershwin’s songs, and what Art Tatum did for so many his contemporaries. This tradition goes back as far as Franz Liszt, but no one had ever approached Sondheim’s work like this for the piano, so I thought it was about time. In the late 1980s, I was invited to create a transcription of one of his songs [Children and Art from Sunday in the Park with George] to perform at a summer music festival and from there I decided I would like to possibly create about five or six more of these transcriptions. My performing and teaching career started to take off and got in the way of focusing on the project, so I had to shelve the idea for a while – actually a long while. Several composer friends and colleagues kept asking me throughout the 1990s (and into the new century) when I was planning to do it. Finally, in 2006, my good friend – Pulitzer Prize-winning composer Paul Moravec – and I sat down and he encouraged me to seriously pursue this. My idea at the time was to cast the net wide to a variety of composers from multiple genres (contemporary classical, jazz, theatre, film, opera, indie, pop, etc.) to create their own settings or “re-imaginings” of a favourite Sondheim song. With the help of a very talented and dedicated fund-raising producer named Rachel Colbert, the project was set afoot. How long did it take to complete the project from the time of the first commission? What was the first commission? The first commissions were put forth in 2008/09. There were many composers commissioned all at once, but not the total amount that it ended up being. The first completed work to arrive was Ricky Ian Gordon’s setting of Every Day A Little Death from A Little Night Music. Following that, a few more trickled in (William Bolcom, David Rakowski, Jake Heggie) and then they started coming one after the other between 2009 and 2014. What were your criteria for which composers you invited to participate in the project? The project was originally going to be about 20 to 25 works, but the roster kept expanding as the composer genres expanded. Also, Steve would suggest more composers along the way who seemed perfect for the project and it gradually climbed up to 36 – “a nice round number” as the producer said – and this provided many options for presenters in addition to emphasizing the possibilities for flexible programming on my part. I wanted to be sure from the beginning that each composer involved felt a true “connection” to Mr. Sondheim’s work and that they wrote well for the piano. Over the years, several composers continued to contact me asking to participate, but we were committed to keeping a balance within the genres. Yes, definitely. We wanted to have a wide range in age, and the final roster encompassed composers ranging in age from their late 20s to their 80s. Did you have any guidelines you asked the composers to follow? The word re-imagining is key to this project. I presented each composer with five parameters when they started. First, they were free to choose any song they felt connected to. There was a wish list, but they didn’t need to adhere to that list per se. Second, they were asked to retain the original melodic material of the song. Third, to retain most of his original harmonies. Fourth, they were free to play with the structure, especially since they would now be creating an instrumental piece from an original song, which is where much of the re-imagining seems to have originated for many of them. And finally, I requested that they not “deconstruct the material,” although a few actually did. Did any composer ask to transcribe a song that had already been chosen by another? They were of course free to choose a song that had already been chosen. However, the situation occurred only a few times where they asked about a song that was already taken. Once they knew that, they each decided to choose a different one. Nearly all of them had so many favourites, it wasn’t very hard for them to choose another. Which of the commissioned works surprised you the most? Let me just say that each piece was a revelation and each was quite unique from all the rest. Therefore, all of them were actually wonderful surprises. There were those that chose to either add an audio track accompaniment, while others incorporated unexpected “bells ’n whistles.” In each case, the approach was usually indicative of their individual style of writing. Sondheim is so well known for the quality of his lyrics, how did the composers deal with the absence of words in their transcriptions? One of the core missions of the project from the start was to illustrate Sondheim’s genius as one of the great composers of the 20th/21st century. Since Sondheim’s original musical material in each song is expanded by lyrics and narrative, the challenge for many of the composers was to capture and encapsulate the essence of the lyrics, the overall ambience/mood, the character singing it, and the core of its message through an instrumental setting of his brilliant musical material. Some composers found this a mighty challenge – many commented that the songs were already “perfect.” Therefore, some went the route of direct transcription for piano, some more fantasia-like. Each again is unique to each composer’s individual style, active within the fabric of Sondheim’s original musical material. Three examples: Steve Reich’s two-piano setting of Finishing the Hat – enhancing the original passionate melody with his own signature pulsing metre-shifts; David Rakowski’s ingenious setting of The Ladies Who Lunch – capturing the complete musical material combined with the pathos, sadness, humour and bitterness of the character who sings this song. Andy Akiho’s prepared piano setting of Into the Woods, where he animates the piano by orchestrating each character’s voice and personality using prepared piano techniques (dimes, poster tacks, credit cards) and exotic timbres in lieu of the text. There are actually numerous more examples, too many to cite, especially since each piece accomplishes something unique in terms of the individual direction each composer chose to take. What, if any, was Stephen Sondheim’s involvement with the project? Steve was quite intrigued by the idea of the project from the start and also very humbled by the fact that so many of these “A-list” composers (as he referred to them) were so interested in setting his melodies at the piano. He has been extremely generous throughout the entire ten-year trajectory of this project, offering suggestions, commissioners, constructive ideas and a strong foundation of support. We would check in with him periodically to give him updates and he always provided a very enthusiastic “go ahead.” He seems to have a very deep respect for all of the compositions in the collection. How eager would you be to participate in a project that examined the evolution of the musical elements of Sondheim’s songs the way Sondheim himself examined his lyrics with Finishing the Hat and Look, I Made a Hat? Oh I would be very eager. Over the past several years, I often present workshops and classes for students and the public illustrating the connections of each re-imagined piece to its original song both from a musical standpoint as well as from a dramatic one. This has oftentimes also included exploring the composers’ process in creating and re-imagining the works – their challenges and their breakthroughs. Anthony de Mare performs selections from Liaisons: Re-Imagining Sondheim as part of the 21C Music Festival in Mazzoleni Hall May 24 and Temerty Theatre on May 25. Gramophone’s 2017 Young Artist of the Year, 25-year-old Italian-born pianist Beatrice Rana, makes her Koerner Hall debut April 8. I remember fondly her Toronto Summer Music concert in 2014, where she brought the Walter Hall audience instantly to its feet with a heartfelt, technically gripping performance of Prokofiev’s Sonata No.6. Her career was clearly on the rise then; it continues on its upward path. I recently had an email Q&A exchange with her. BR: I began studying piano when I was four, but before that I have some little memories of me trying to repeat the melodies of cartoons four hands with my father. I also remember my parents taking me out for concerts on Friday nights; it was always a very special feeling. Your parents are professional pianists and your younger sister plays the cello. Please describe the musical atmosphere in your home growing up. I would say that music is really part of our daily life, as much as drinking water or eating lunch. The house could be pretty noisy at times (! ), but it was absolutely wonderful to grow up in a family that really understood and supported our musical choice. The first musical challenges when I was a child were some pieces by Mozart and Schumann, but the composer that was giving me the biggest sense of accomplishment was Bach, and I ended up playing a lot of his music. I still have a very special relationship with Bach’s music, even though I constantly fall in love with so many other composers. Who were the first musicians you fell in love with? Martha Argerich and Glenn Gould. Do you have any piano idols? I wish I could have listened live to Horowitz and [Arturo] Benedetti Michelangeli. How life-changing was winning the Silver Medal and Audience Award at the Cliburn piano competition in 2013? It was absolutely a shock – a good shock of course! The first big change in my musical career came with [winning] the Montreal competition in 2011, but after the Cliburn I really reached what I was looking for, which was having the chance to be a concert pianist. The thing is that you don’t know what it really means to be a concert pianist until you become one: it’s an amazing life, full of travel, people, different cultures, but sometimes it can be tiring. I’d like to focus on your upcoming Koerner Hall recital on April 8. What is it about Schumann’s music that speaks to you in general? And what about Blumenstück and the Symphonic Etudes in particular? I always loved Schumann, probably also because of my close relationship to Bach with whom there are many connections. Blumenstück and Symphonic Etudes really reflect Schumann’s aesthetic with his two opposite personalities: on one hand there is Blumenstück, which represents Eusebius with his poetic, intimate and dubitative approach to life; on the other, the Symphonic Etudes are Florestan, incredibly extroverted and brilliant, inspired also by the bigger sonorities of an orchestra. What fascinates you about Ravel’s Miroirs? The choice of Miroirs is connected to the choice of the piano as a symphonic instrument. Ravel was an incredible orchestrator and two pieces of the Miroirs were in fact orchestrated. What strikes me the most in this music is the imagination and plasticity of sound, which is able to recreate vividly either the hysteric movement of a butterfly in the night or a ship moving on the ocean and struggling with the storms. What are some of the challenges of Stravinsky’s The Firebird? Again, the piano is imitating an orchestra but this time the process is the opposite: The Firebird was originally written for the orchestra, and [Guido] Agosti – an incredible pianist of the last century – wrote this amazing transcription. The main challenge is of course to recreate the different sounds that such a big orchestra can reach, but on the other side, the advantage is the freedom with the interpretive choices that it’s impossible to have with an orchestra. What do you find most rewarding and most challenging in your professional life? It is very fascinating to travel so much and get to know so many audiences: every country is completely different, because of its culture and its musical traditions. Still, being able to communicate with all of them through music is a real privilege, and sharing moments of such authenticity on so many different stages is just incredible. “When you finally get the sound [of the violin], you are really getting something out of yourself,” the young Itzhak Perlman says in black and white footage from Israeli television in 1974, during Alison Chernick’s new documentary Itzhak. “The more you have in your heart, the more you have to give,” he explains, having noted that to get a sound out of a piano you merely have to strike a key. The Israeli-born Perlman has given an enormous amount over his long professional career; and he’s been in the public eye since his appearance in 1958 as a 13-year-old on The Ed Sullivan Show playing an excerpt from Mendelssohn’s Violin Concerto. Itzhak is a congenial portrait of the living legend, from the child crippled by polio to the 70-year-old musical icon travelling out to the CitiField pitcher’s mound in his motorized wheelchair to play The Star-Spangled Banner in the home of the New York Mets. With the aid of old video, photographs and home movies we get a sense of what drove the young violinist to succeed. More recent footage records the love and devotion of his wife Toby and the importance to him of their family and Jewish heritage. His physical challenges are constant, his triumph over them as a performer, teacher, husband and father implicit throughout. But it’s the singularity of his musical life and the joy he brings to it that is the raison d’être of Chernick’s film. Where does she lead us from the baseball diamond? To a rehearsal of Tchaikovsky’s Piano Trio Op.50 with cellist Mischa Maisky and pianist Evgeny Kissin. Then the star-spangled musical trio takes a break in Perlman’s New York City kitchen where the host animates the eating of takeout Chinese food with a hoary old Russian-Jewish joke. Richard Strauss’ Violin Sonata, Bruch and Wieniawski Violin Concertos, Brahms, Respighi and Ravel, Vivaldi, Bach, Mozart and Schubert all resonate on the soundtrack. Marian Anderson’s singing of the spiritual Crucifixion has a special place in Perlman’s iconography. As his playing of klezmer music with The Klezmatics does in ours. And what is the most requested piece of music in his repertoire? The theme from Steven Spielberg’s Schindler’s List by John Williams. You can watch how Perlman evokes the beauty of a phrase and marvel at the way he brings out the colour of a melody when Itzhak plays at the Hot Docs Ted Rogers Cinema April 6 to 12, followed by a run at the Mt. Pleasant Theatre beginning April 13. Massey Hall/Roy Thomson Hall presents Itzhak Perlman and pianist Rohan De Silva in recital at Roy Thomson Hall April 22, performing works by Schubert, Beethoven and Dvořák. Recently I celebrated what would have been the 108th birthday of American composer Samuel Barber by watching Absolute Beauty, a comprehensive portrait of a man who wrote some of the most beautiful music of the 20th century. H. Paul Moon’s documentary has just now become available via internet streaming or purchase, having made the rounds of film festivals over the last several months. I found Moon’s assemblage of Barber scholars, musicians, personal reminiscences, film footage and photographs so touching that I immediately put on two of my personal Barber favourites: his Violin Concerto with its lovely first two movements; and his evocative Knoxville: Summer of 1915 for soprano and orchestra, the setting of James Agee’s clear-eyed nostalgic picture of family life from the point of view of a five-year-old boy. I had just learned that Agee and Barber were the same age and that Agee’s text spoke directly to Barber’s own youthful memories. The documentary begins with the transfixing melancholy of Dover Beach Op.3, written for baritone and string quartet (from the poem by Matthew Arnold) when Barber was 21 and still a student at the Curtis Institute. “Barber found the profound essence of the poem in very small motives,” Thomas Hampson says. The film moves through Barber’s compositional output from the Cello Concerto, Symphony No.1, the justly famous Adagio for Strings, the Piano Sonata (written for Horowitz, a frequent visitor to Barber’s Mt. Kisco home), Hermit Songs (and his collaboration with Leontyne Price) et al, ending with his 1966 opera Antony and Cleopatra and its misplaced stage direction by Franco Zeffirelli that blinded the critics to its musical qualities. Conductor Leonard Slatkin, one of Absolute Beauty’s roster of talking heads, says that he was enchanted listening to the opera on the radio when he was 22. Barber wrote very little after those negative reviews and spent the last years of his life without his longtime partner Gian Carlo Menotti. Unable to afford Capricorn, their country home with its sylvan setting, Barber moved back to New York City where a Fifth Avenue apartment was of little consolation. He left us with a legacy of blissful melancholy as Absolute Beauty’s moving soundtrack depicts. Up-and-coming violinist Ray Chen is the soloist in Bruch’s beloved Violin Concerto No.1; Sir Andrew Davis leads the orchestra in Sibelius’ magnificent Symphony No.2 Apr 5, 7 and 8. Christian Tetzlaff performs Berg’s ineffably beautiful Violin Concerto; Kent Nagano leads the OSM in Bruckner’s ever-popular Symphony No.7 Apr 13. Violinist Blake Pouliot, recently named Women’s Musical Club of Toronto’s 2018 Career Development Award Winner, plays Beethoven’s lyrical Romances 1 and 2 as part of an all-Beethoven program under the baton of resident conductor Earl Lee that also includes the iconic Symphony No.5 Apr 14 and 15. The Associates of the TSO perform two of the greatest string chamber works: Schubert’s Quintet in C D946 and Brahms’ String Sextet No.1 Apr 23. Bramwell Tovey conducts the 1993 concert version of Leonard Bernstein’s brilliant musical Candide (essentially Bernstein’s 1989 recording with a few excisions) Apr 26 and 28. The legendary pianist Leon Fleisher brings the wisdom of his 89 years to Mozart’s Piano Concerto No.12; Peter Oundjian conducts Bruckner’s immense Symphony No.8 May 2 and 3 (RTH), May 6 (Montreal) and May 8 (Ottawa). Apr 6: The indefatigable Stewart Goodyear joins Nurhan Arman and Toronto Sinfonia for Vinzenz Lacher’s chamber version (originally for piano and string quintet) of Beethoven’s masterful Piano Concerto No.5 “Emperor.” Also in Barrie Apr 7. Later in the month Goodyear joins the estimable Trio Arkel (COC concertmaster Marie Bérard, TSO principal violist Teng Li and associate principal cellist Winona Zelenka) and Silk Road Ensemble bassist Jeffrey Beecher for a performance of Schubert’s sublime Trout Quintet Apr 27. Music by Schoenberg, Boccherini and Barrière complete the program. Apr 8: Syrinx Concerts presents three internationally known musicians who happen to be on the faculty of the Schulich School of Music at McGill University – Ilya Poletaev, piano; Axel Strauss, violin; and Yegor Dyachkov, cello – performing music by Beethoven, Ravel and Oesterle. Apr 12: Music Toronto presents the German-based Schumann Quartet, proteges of the Alban Berg Quartet and winners of the BBC Music Magazine Newcomer Award 2016 in a program of Haydn, Shostakovich and Schumann. Apr 21: Cathedral Bluffs Symphony Orchestra’s Annual Fundraising Concert features two young soloists, cellist Alik Volkov in Tchaikovsky’s charming Variations on a Rococo Theme and pianist Lauren Esch in Grieg’s enduring Piano Concerto. Apr 22: Pocket Concerts has decided it’s time to tackle Late Beethoven. Shane Kim and Katya Poplyansky, violins, and Amy Laing, cello, join co-director Rory McLeod, viola, in a performance of String Quartet No.12 Op.127. Apr 22: Nocturnes in the City presents pianist Karolina Kubálek (Antonín Kubálek’s daughter) performing music by Mozart, Rachmaninoff, Chopin and Ravel. Apr 26: The dean of Canadian pianists, Robert Silverman (soon to turn 80), gives an all-Chopin recital at Gallery 345. The program is repeated Apr 28 in the Music Room of the Kitchener-Waterloo Chamber Music Society. Apr 27: Soprano Isabel Bayrakdarian joins Amici to celebrate the ensemble’s 30th anniversary in a program of works by Respighi, Dohnanyi and much Bernstein. Apr 28: Charismatic French cellist Gautier Capuçon and his longtime duo partner Jerome Ducros grace the Koerner Hall stage with a selection of Fauré, Brahms and Rachmaninoff plus French and Russian short pieces from their latest CD Intuition. May 3: The Women’s Musical Club of Toronto’s final concert of the season “Cellodrama!” features principal cellist of the Regina Symphony Orchestra, Simon Fryer, who also happens to be artistic director of the WMCT. He’s programmed himself along with seven cellist friends and special guest soprano Sarah Slean in a recital featuring works for solo cello, four cellos and eight cellos by Barrière, Penderecki, Jocelyn Morlock, Bach, Kelly-Marie Murphy, Queen and Villa-Lobos (the incomparable Bachianas Brasileira No.5). May 3 to 6: Tafelmusik, with guest conductor Bruno Weil at the podium, takes a fresh approach to Beethoven, dipping into two classics from his fertile middle period. Music director emerita Jeanne Lamon is the concertmaster for the evening. Current music director Elisa Citterio is busy as the soloist in the Violin Concerto, which opens a strong program that ends with the Pastoral Symphony. May 4: Festival of the Sound artistic director James Campbell gets ready for summer with music for clarinet, piano and cello in various combinations by Beethoven, Ravel, Fauré, Saint-Saëns and Brahms, at the Aurora Cultural Centre.